Marignane, France, 4 March 2016 – Airbus Helicopters Foundation provided support to humanitarian relief efforts following the tropical cyclone Winston that hit the Fiji Islands on 21 February 2016, killing at least 43 people and affecting 350 000 others. The disaster has left large areas of the Fiji archipelago without power, water supplies and communication and heavy rains have brought flash‎ flooding, landslides and coastal inundation. “I am very proud that Airbus Helicopters Foundation was able to provide the first heliborne support within 48 hours of the disaster” said Guillaume Faury, Chairman of the Board of Directors of the Foundation and CEO of Airbus Helicopters. “Helicopters are an essential tool in surveying the disaster areas, identifying the type of emergencies that allows the humanitarian aid to be organized subsequently”. Before the cyclone hit the archipelago, Airbus Helicopters Foundation had anticipated the potential humanitarian crisis and had been proactively working to identify helicopters that could rapidly support rescue workers. That allowed the Foundation to provide helicopter support to Fiji archipelago rapidly, partnering with New Zealand operator Garden City Helicopters Ltd Fiji’s entity, Pacific Island Air. The Foundation already partnered with Vanuatu Helicopters one year ago, a Garden City local entity, to support Vanuatu rescue operations after cyclone Pam hit the country in March 2015. In the framework of the partnership agreement between the French Foreign Affairs Ministry Crisis Center and the Airbus Helicopters Foundation, the French Embassy in Suva coordinated relief operations, allowing the Fijian National Disaster Management Office to benefit from an AS355. The AS355 ‎chartered by the Foundation performed a first assessment flight, transporting civil security experts, within the 48 hours in the wake of the catastrophe. This flight allowed the discovery of a village that had been totally destroyed on the island of Batiki and some emergency aid was then sent the day after by boat. Many other flights followed during the week as the Foundation left the helicopter at the disposal of the rescuers for further assistance. It helped notably to transport 8 tonnes of humanitarian materials to the most severely damaged areas that had become inaccessible. These flights have also led to the rapid identification of the most badly damaged schools, revealing urgent need for repairs for around 100 of them before they can re-open. 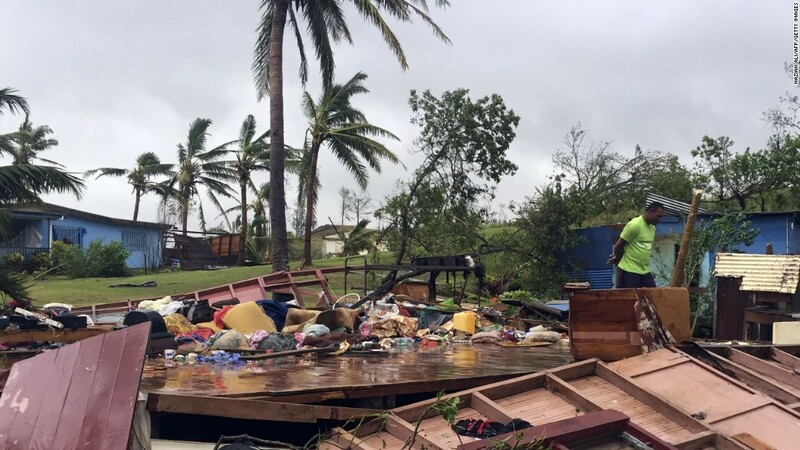 Some flights were also conducted in inaccessible and seriously devastated villages at the request of the Fiji Red Cross team for their damage assessment and transport of Red Cross volunteers. Airbus Helicopters Foundation has already had several opportunities to support the Red Cross over the last 2 years. This cooperation in Fiji marks the first helicopter support action since the Airbus Foundation signed a partnership last November with the International Federation of Red Cross and Red Crescent.